It has been several years since Priestnall School first introduced student passports. Gareth D Morewood explains why they continue to help secure better outcomes. We have been using student passports at Priestnall School for almost a decade now, and the reason for using them has never been clearer. Previously there has been a direct comparison to IEPs, but it’s important to realise that while an IEP is a fixed statement, a student passport can be much more than that. It can inform a continuing discussion with the student about their needs in relation to the curriculum and learning, and encourage metacognition. Why has the passport been so useful? I know many colleagues from across the UK and further afield who have used the student passport (or a variation of it), and found it useful. It is simple, accessible and really pins down the particulars of a student's needs and outcomes. It also supports post-2014 SEND reform, keeping the child central to the process and incorporating their views. This means ensuring that the move away from fixed positions and medicalised processes can support the student directly but also ensure teachers and support staff have a good understanding about the individual. What has changed in how we use the passport? At Priestnall, little has changed in how we use the passports. This may be a sign of a robust system, especially after changes to the curriculum. Rather, the discussions that inform the passport have evolved significantly. Initially the conversations were about practical strategies; now they are more sophisticated, and mainly about learning and processing. With some students I have had discussions in which I ask them to think about how they learn best, in one or two cases even going as far as to consider how applying cognitive science can improve the quality of learning. Some young people have a remarkable, unquestionably powerful understanding of themselves, articulating what they find difficult and what solutions might help. The passport is a valuable means of encapsulating this learner-led enquiry. What information should be on the passport now? Some colleagues have adapted the template to suit their needs, and I’ve always said it isn’t the actual document that matters but the process it facilitates. One aspect that will vary from school to school is the data and attainment information. This is partly because, with the removal of national levels, each school is now expected to adopt its own assessment system and use a variety of measures. Additionally, the section on access arrangements has become increasingly important and often links to other school documents. How can schools make the passport a 'living document' (not something that's filled in then forgotten about)? Most schools upload the passports to a central IT network, with the expectation that teachers will refer to them as part of their lesson planning and teaching. This can make a significant difference. I know headteachers who have introduced student passports across the school, and linked them to strategic objectives. As with any systems, if they are embedded as part of a whole school approach they have more impact. One school I have worked with introduced the student passport in October. They subsequently made the use of the passport to inform teaching and learning a component of the staff observations and appraisals. In other words, every teacher has a ‘SEND target’. This is something positive, not punitive; teachers choose their own target and use the passport throughout the school year. While I am aware that one size never fits all, the approach worked very well in this particular school. When I returned in May, the feedback from staff, students and parents/carers was overwhelmingly positive. Assess: gauge the effectiveness of your current systems. Plan: trial student passports with small group of students, parents and carers. Do: implement passports for a larger cohort – students with EHCPs, for example. Review: after half term, ask all stakeholders to evaluate the impact of using passports on the quality of teaching and learning. 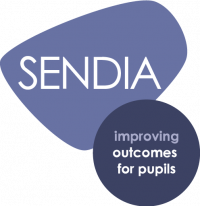 Whatever approach you take, however you adapt the passport for your own setting, it’s important to keep the main aims clear: positive engagement in discussions about SEND and learning are fundamental in improving outcomes for all.